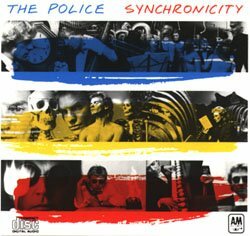 It was on this day in 1983 that The Police scored their fourth UK #1 album with Synchronicity. It also went to #1 in the US where it stayed for 17 weeks. Synchronicity won three Grammys. Most importantly this was the album, purchased at The Wherehouse in Bakersfield California, that began the still vast Waist High new wave record collection.